Microsoft has pledged a new Office suite, tagged Office 2019, for next year. But other than a nod to the vague "second half" of 2018, the Redmond, Wash. developer has said nothing of dates. 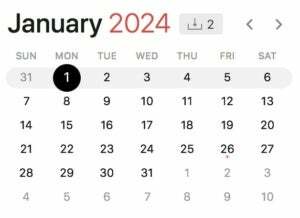 But because Office 365 is, even more than Windows 10, as much a service as software - and because that model requires a predictable schedule of releases, maintenance milestones and support expiration dates - we can anticipate many of the important dates in the transition from present (Office 2016) to future (Office 2019). 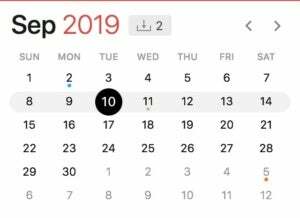 To prepare for Office 2019, circle these dates on the enterprise IT calendar. Six weeks ago, Microsoft said, "Previews of the new products [Office 2019 applications] will start shipping mid-year 2018." Because the perpetual licensed version of Office 2019 will be built from code already released as Office 365 ProPlus, it's most likely that Microsoft will use the March 2018 feature upgrade for Office 365 ProPlus subscribers as the basis for Office 2019. 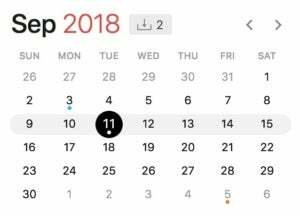 According to Microsoft's Office 365 ProPlus release calendar, the March 2018 feature upgrade will ship March 13, 2018. Then on July 10, 2018, that same upgrade will be issued to the Semi-Annual Channel, the main distribution channel. 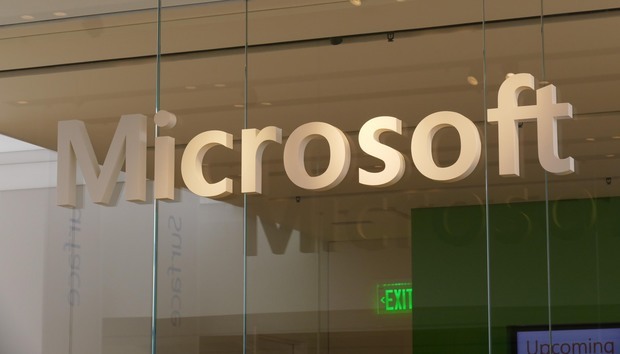 In Microsoft's vernacular, "Semi-Annual Channel" represents more stable code that has been tested by some customers between March 13 and July 10, with Microsoft fixing any found bugs. By issuing that Semi-Annual Channel (Targeted) build as the preview for Office 2019, Microsoft expands the testing to customers who don't subscribe to Office 365, but gets to offer code that has gone through a partial shakedown outside of the company's confines. Office 2019 is supposed to ship in the "second half of 2018," according to Microsoft. But when exactly? Next September makes sense as Office 2019's launch window because the perpetual-license version will be built from code already released as Office 365 ProPlus. In fact, for Office 365 subscribers, Office 2019 is little more than a declaration, a verbal if not virtual sign that names the next iteration. And all that's necessary to prep the one-time purchase version is to take the code that exists at that moment, then build the image file for volume customers to download, or package the retail editions. Approximately a year from its release -- and about 18 months from its actual inception -- the initial Office 2019 build will be knocked off the support list. Eighteen months is the support lifetime of any individual Office 365 ProPlus feature upgrade, whether it carries an additional label of "Office 2016," "Office 2019," or "Office 2028." It will be a different situation for Office 2019 than for Office 2016; the latter was not prefaced by a software-as-a-service model, but by the traditionally-developed Office 2013. So, while Microsoft had to announce earlier this year that after February 2017, Office 2013's applications would not be supported for Office 365 subscribers, there will be no need for a similar declaration for Office 2016 apps. They will have already aged out of their Office 365 support. The same holds true for the Office 2013 application download shutdown Microsoft mandated in late February when it said, "All 2013 versions of Office 365 client applications ... will no longer be available for installation from the Office 365 Admin Center." That will be moot for the transition from Office 2016 to 2019, as Microsoft automatically limits Office 365 downloads to the current feature upgrade of the suite. The perpetual licensed version of Office 2019 will be supported for the usual 10 years - probably until early 2029 - but five years before that, Microsoft will cut off the suite's applications from connecting to any Microsoft-provided service. Under new rules revealed in April, owners of perpetual-license versions of Office will be able to use those services only during the first half of their 10-year support lifecycle, the portion Microsoft dubs "mainstream." Those services include Microsoft-hosted Exchange email, the OneDrive for Business storage service and Teams, the corporate collaboration platform. Microsoft will enforce this rule starting Oct. 13, 2020, making Office 2019 the first to fall under its mandate. Office 365 ProPlus - the applications from the 2019 suite provided to subscribers - will not be affected by the changes.